Truly wireless earbuds have taken over the world only when Apple launched it’s signature AirPods back in 2016. Since then there has been a slew of truly wireless earbuds from B&O, Motorola, Bose, Sony to Onkyo. Apple too has benefited from the truly wireless earbud craze and released its second version of AirPods- 2nd gen AirPods. All brands have gone in for wireless ear buds but what about Sennheiser. The company seems to be following a slow and steady wins the race kinda of moto. 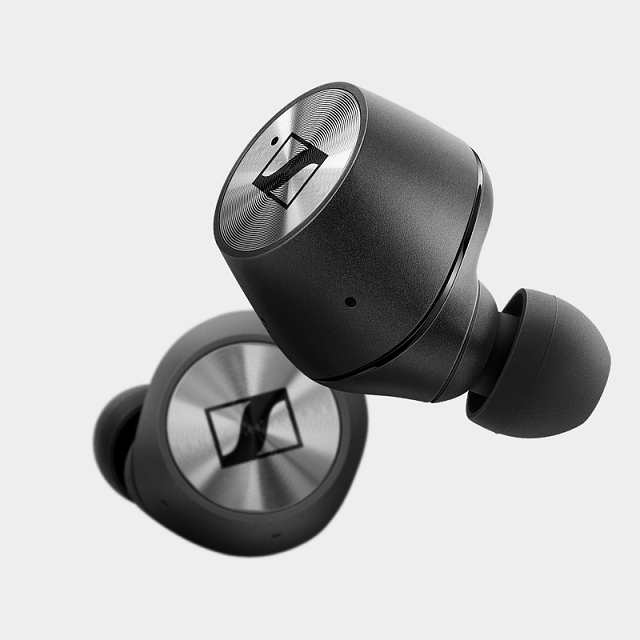 But now no more, they have come up with their own truly wireless earbuds- Momentum True Wireless Earbuds. Are these earbuds really worth their price or are they going to be just another set of earbuds without anything new to offer? That’s what we are here to find out. If you’re looking for a pair of truly wireless earbuds that can have possibly all the latest features, then you don’t have to look far, Sennheiser’sMomentum True Wireless Earbuds have got it covered. These earbuds come with 4 hours of battery life and its own charging case, which has become the norm with all truly wireless earbuds these days. The earbuds charge through a magnetic slot. If you’re concerned about pairing then don’t be. The Momentum True Wireless Earbuds connect to each other as soon as they’re out of their charging case and are immediately discoverable from any gadget that you have. If you need to connect them to a different gadget from the one they’re currently connected to, then you simply have to press the outside of both earbuds to restart the connection. The charging dock comes with a set of lights that shows you the level of charge of the earbuds. Green depicts a more than 50% charge while red for no charge. Once the case is fully charged you can use it to charge your earbuds for two more sessions before you need to connect the dock back to its power outlet. The earbuds itself take about an hour and more to attain a full charge. How do you know exactly how much Charge is there in your Momentum True Wireless Earbuds? With Sennheiser this is a simple matter of downloading an app. From the app, which is compatible with both iOS and Android by the way, you will see just how much juice is there in both earbuds. Sennheiser had another feature up its sleeves when it came out with the Momentum True Wireless Earbuds. The company claims that its new two mic beamfoaming feature can improve audibility during phone calls. While the Momentum True Wireless Earbuds do not come with noise cancellation they have something else. Noise isolation in the Momentum True Wireless Earbuds does a good job when it comes to blocking out background noises.